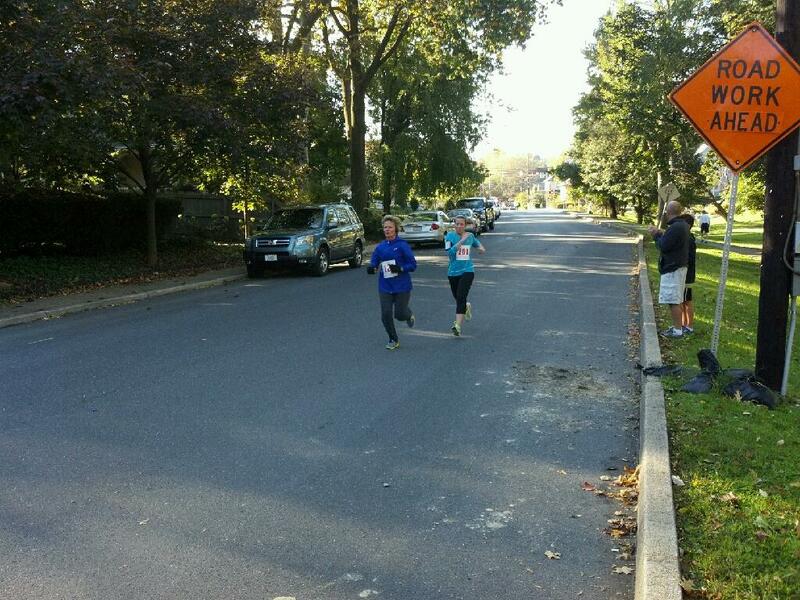 Saturday started out at an absolutely freezing 30 degrees and yes, I ran my 5k. I finished at 26'47" and I am not sure where the credit is due- the pack I began with or the fact that I was cold and just want to be warm. Either way, my first mile was done in 8'08" which was really a little out of my league and I slowed from there but definitely smashed my goal of being under 29 minutes for the race. 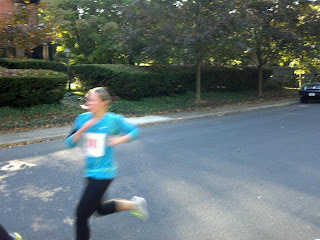 Below are two pictures my husband took of me coming into the finish line at the end. I was really pushing to finish since I felt like I was about ready to pass out. I think the next goal is to work on being consistent because my speed varied so much and I definitely started too fast. I am not going to minimize the fact that I was blown away at how good my time was, so I will move on from this. After the 5k, hubby and I headed to Lebanon Valley College for Homecoming and "5 year reunion" although not too many of our classmates seemed to be there. Either way, we enjoyed the game and the wonderful fall weather. Now yesterday, we finally got to have my mom and dad over to celebrate my mom's 60th birthday that was on September 27th. Better late than never, right? I say yes. I made lunch, gave mom the handmade part of her gift (will be posted eventually, hopefully later today on my craft blog @ Oh.Scrap.That) and then we went for a nice 5 mile walk around Camp Hill. We collected acorsns for a crafty project on my list as well. Overall a very busy but active weekend! !